Why choose the 316 Stainless Steel Ferrule Fittings? 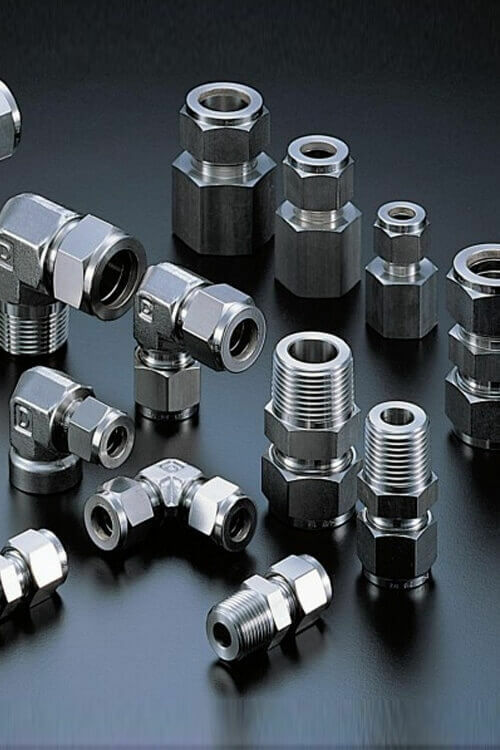 Ferrule fittings are type of compression fittings which are used in the place of soldering and can work with higher pressures with toxic gases. The ferrules are made up of different material but 316 Stainless Steel Ferrule Fittings are the most popular among them. As they are made up of stainless steel, these fittings are anti corrosive, have high strength and are really durable. These fittings are best for the place where the temperature as well as pressure is high. They are known to work effectively in harsh environments and last really long. The 316 Stainless Steel Ferrule Fittings are available in different shapes and sizes according to its application. We are manufacturing such pipe lines and fittings. If you want to purchase them in bulk then make sure that you are being charged right. Also keep in mind that these fittings come in proper specification and comply with all the industry standards. You must first know your requirement and which type of ferrule fitting you will be requiring before placing the order. The reason 316 Stainless Steel Ferrule Fittings are popular and in demand, is because they are versatile in nature, because of other factors. It is very easy to operate and there is no skill or tool required for it. They are required when there are installations or in case of partial removal for the maintenance purpose. These fittings are capable of handling pressure and can work with toxic and high pressure gases. Alloy 316 Female Run Tee, Austenitic Stainless Steel 316 Blanking End, SS 316 Plug, Stainless Steel 316 Tube Union, 316 Stainless Steel Tube Insert, ASME SA276 SS 316 Nut Accessories Fitting, SS AISI 316 ASME SA479 Female Elbow, Grades 316 Stainless Steel Ferrule Fittings, Standard Size Stainless Steel 316 Ferrule Fittings Supplier, 316 SS Union Cross Exporter, 316 Austenitic Stainless Steel Reducer, SUS 316 Steel Male Bulk Head Connector Manufactures in Mumbai India. Thread NPT, BSP, BSPT, UNF, ISO, SAE etc.